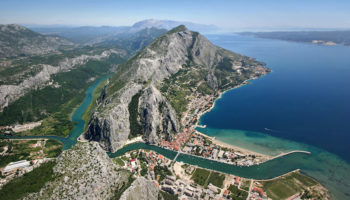 The allure of Croatian beaches were once a secret that were only held by a select few. 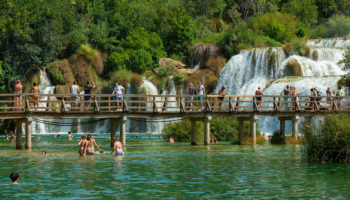 The quiet, calm of Croatia is now a highly coveted holiday spot that is growing in popularity with each year. 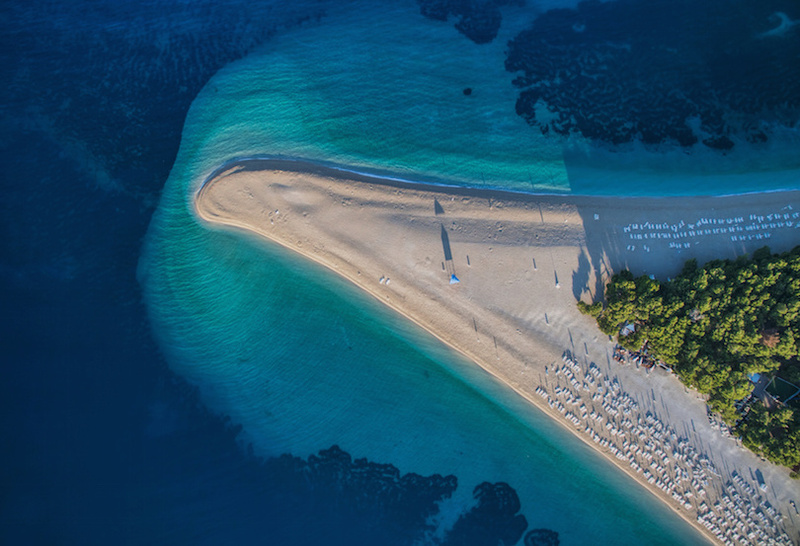 One of the most unique beaches is Zlatni Rat, a narrow spit on the island of Brac. 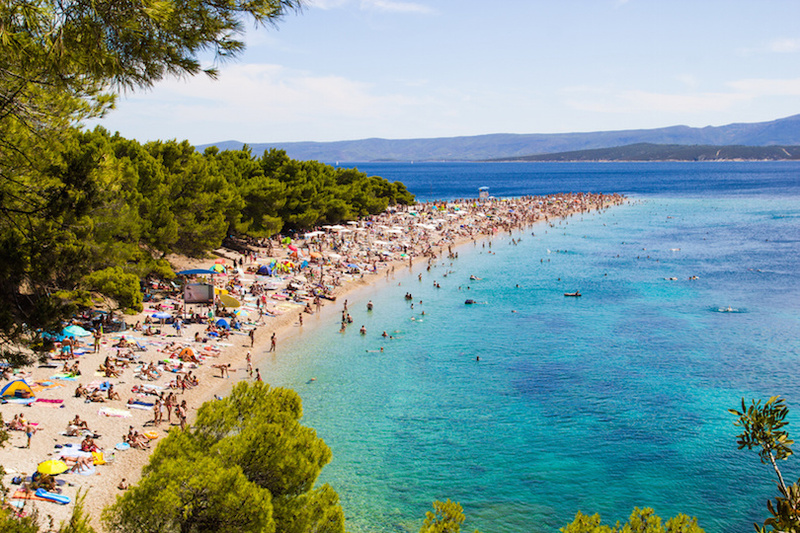 Known as the Golden Horn, Zlatni Rat is a clear, pebble beach that is frequented by tourists for its original landscape and ever-changing coastline. 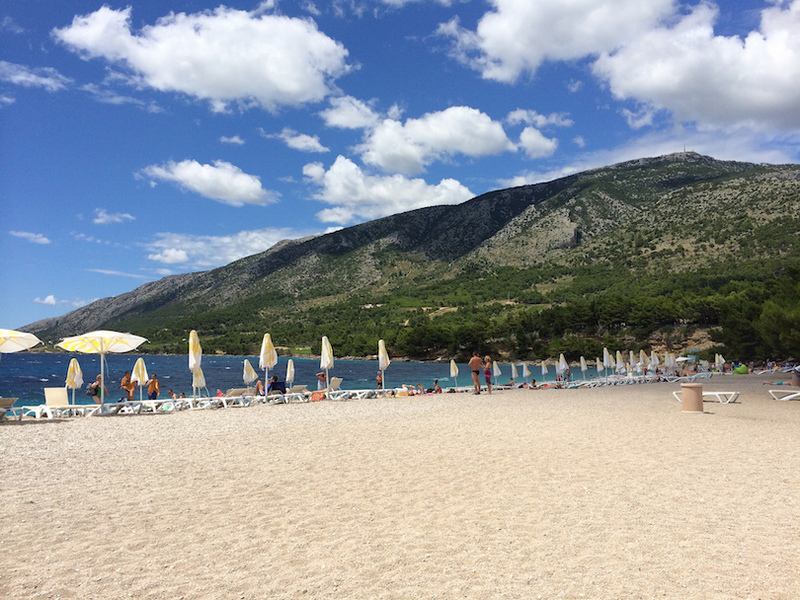 The winds of the Adriatic Sea make Zlatni Rat a popular spot for both sunbathers and windsurfers. 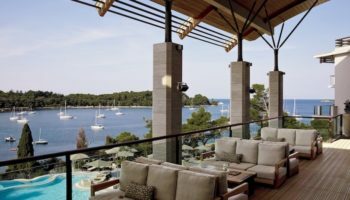 It is easy to stay cool with the warm breezes and sea spray enveloping those who lounge on the beach from the three angles of the Golden Horn. Likewise, windsurfers can take full advantage of the gentle, westward winds. Even those who do not enjoy windsurfing can find watching the brightly hued sails as the bob throughout the water. 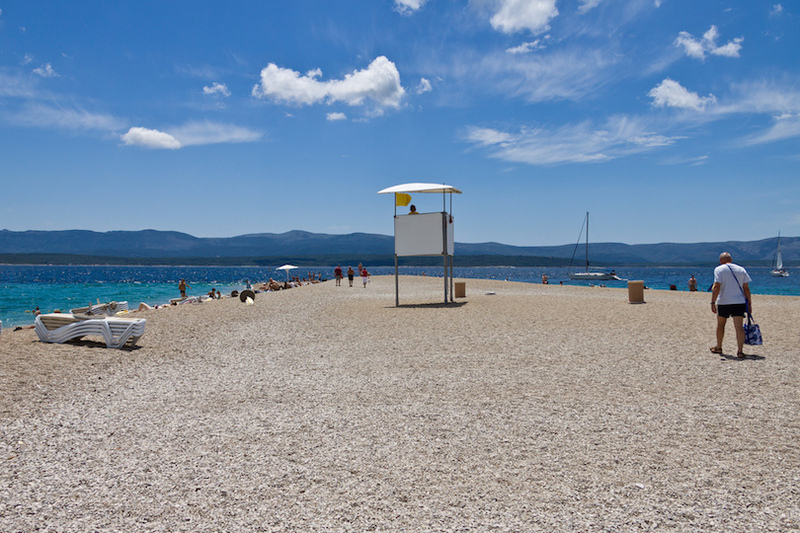 The beach is supplied with sunbeds, umbrellas, and paddle boats that may be rented. Likewise, tourists can take advantage of the shade offered by a thick grove of pinewoods in the middle of the beach. 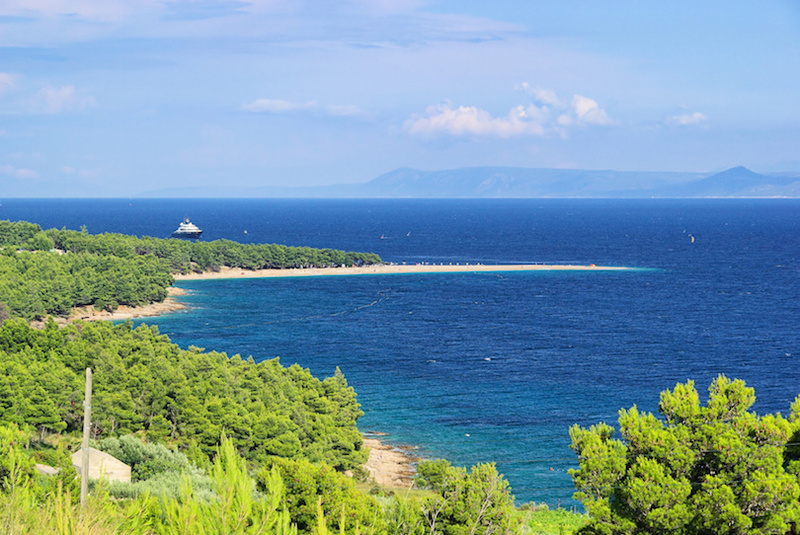 Naturists can also enjoy Zlatni Rat as the western coves, Paklina, are clothing optional. 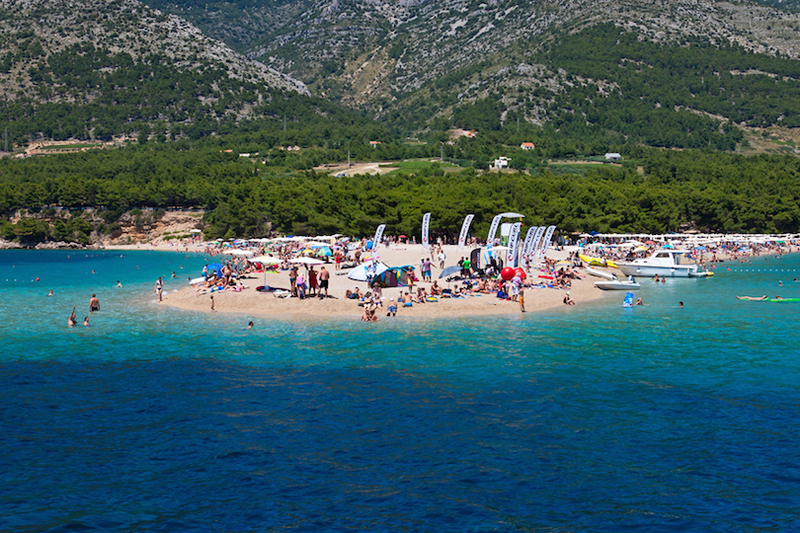 Zlatni Rat is most popular in mid-summer. 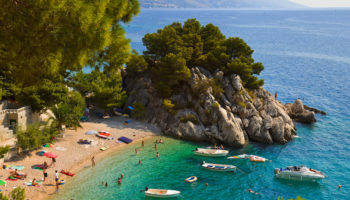 Those who are able to visit in June or September may have the best chances of enjoying a warm, dry holiday without sharing the beach with too many other guests. The beach is accessible year-round, but facilities, including lifeguards, are only available from May through October. 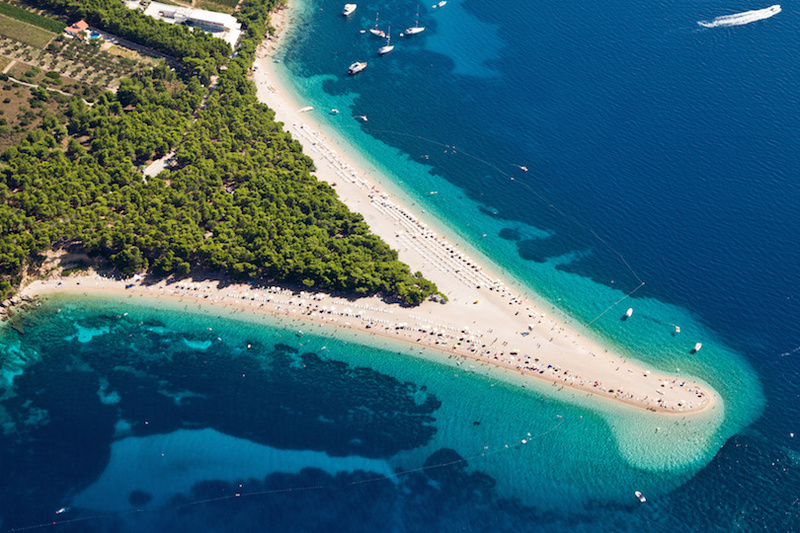 Like most beaches in Croatia, Zlatni Rat is comprised of pebbles rather than sand. 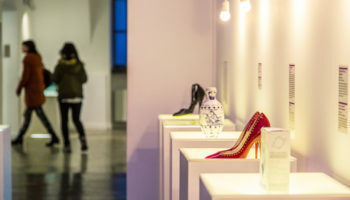 Most guests will want beach shoes if they are not accustomed to walking on this type of land. Beach-goers can find refreshments directly on the beach or they can walk to a nearby cafe or resort. 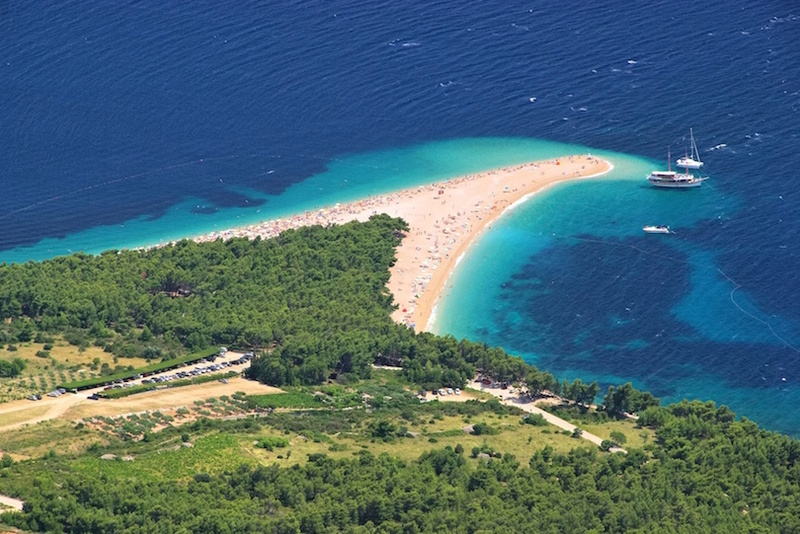 Zlatni Rat is located closest to Bol. 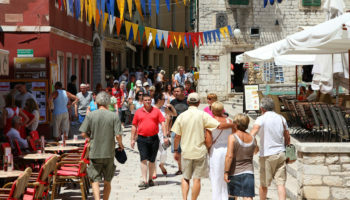 The oldest town on the island, it has a great selection of reasonably priced restaurants and cafe-bars. 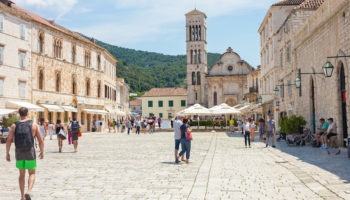 As Zlatni Rat is arguably the town’s most noteworthy tourist attraction, there are a number of businesses that cater to those who visit the beach. 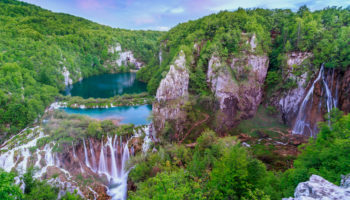 Some of these include scuba diving companies and windsurfing lessons for first-timers who want to experience this favorite activity. 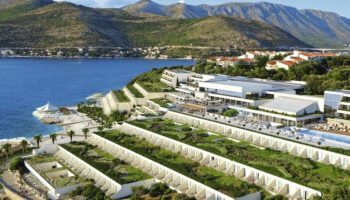 A trip to Zlatni Rat is characterized by days on the beach, but there is much more to this paradise than the smell of saltwater and a hot, beating sun. Rent a scooter or bike in Bol to explore the town. Stop in a local cafe to try Bolski Plavac, a wine that is infused with herbs and is unique to Bol. Travel to the Hermitage of Blaca, an ancient and picturesque monastery. 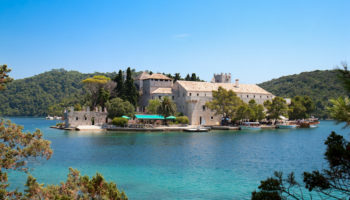 The Dominican Monastery in Bol also offers a break from the midday sun with its museum, gallery, and garden.